DEFENDERbyKarpel Workflow Management is completely configurable to meet your business rules and workflow processes. Our robust workflow engine will allow you to combine multiple tasks into one workflow event. 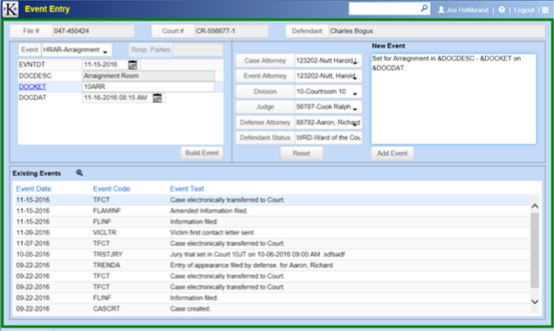 Generate a document, set a court date, and send an email notification all with the entry of one workflow event. Events are defined by your business rules and can be configured to meet all your unique business processes. Save time and simplify tasks with efficient workflow management.